The US military has maintained a presence upon the South Korean peninsula since the “end” of the Korean War in 1953. The old base in central Seoul, surrounding the foreigner friendly area of Itaewon, has been in a process of moving 70km south to Pyeongtaek. The small village of Anjeong-ri is adjacent to the massive and growing Camp Humphrey’s. There are a few restaurants and bars there to serve the almost 30,000 troops who might need a night off base. 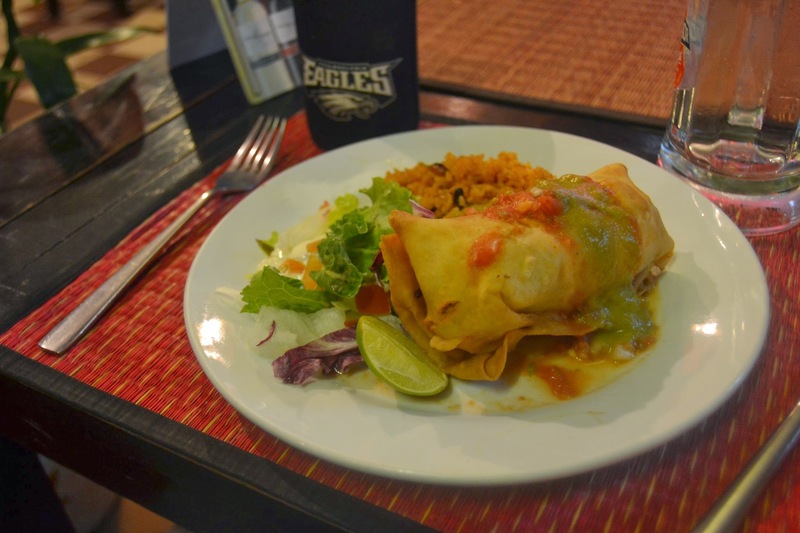 At Viva, they serve pretty authentic Tex-Mex style dishes. I had the chimichanga with green chile sauce and was pleased with the results. Quality meat and cheese fried up with a cool sauce. They also offer 2$ tequila shots and Corona bottles. Charlie’s reminds me of Austin, Texas. Cold beer, good food and bar stool seating. 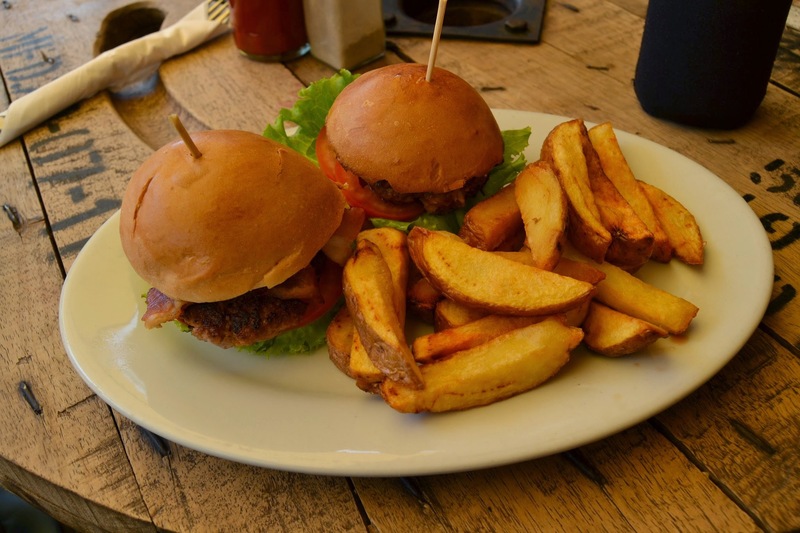 I ordered the sliders, which were tasty but under-cooked. When will Asia realize you must cook burgers all the way through (without drying them out)?